It’s National Chocolate Ice Cream Day! Calling all chocolate lovers. Did you know that June 7th is National Chocolate Ice Cream Day? Say whaaat? The best thing about chocolate is just how versatile it is — you can #playwithit multiple times a day without getting sick of it. If you’re craving chocolately deliciousness and want to celebrate this “holiday,” snack on this! Adults are supposed to eat a minimum of two fruit servings a day, but as we like to say here at My/Mo: adulting can wait. Grab fresh fruit like strawberries, bananas, oranges and mangos and then coat them with a creamy layer of your favorite chocolate. Ummm ok! Craving even more chocolatey chocolate deliciousness? That’s where My/Mo Double Chocolate Mochi Ice Cream comes in! It’s rich enough to satiate your snack itch but small enough that you won’t feel too full after eating it. You can also try flavors like Cookies & Cream or Mint Chocolate Chip for that extra crunch. Prefer mochi in the morning? Start the day with a big mug full of mocha sprinkled with thick and fluffy marshmallows… or My/Mo. 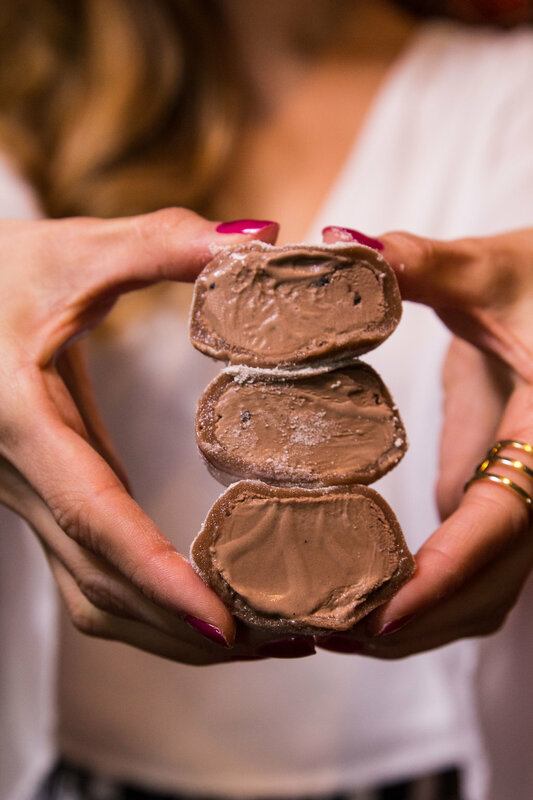 If you’re feeling adventurous, replace your marshmallows with any My/Mo Double Chocolate Mochi Ice Cream – it’ll fix your craving and make sure that you don’t spoil your appetite. How do you My/Mo on National Chocolate Ice Cream Day?